For all those sick of Geordie Shore… Please stand up!!! 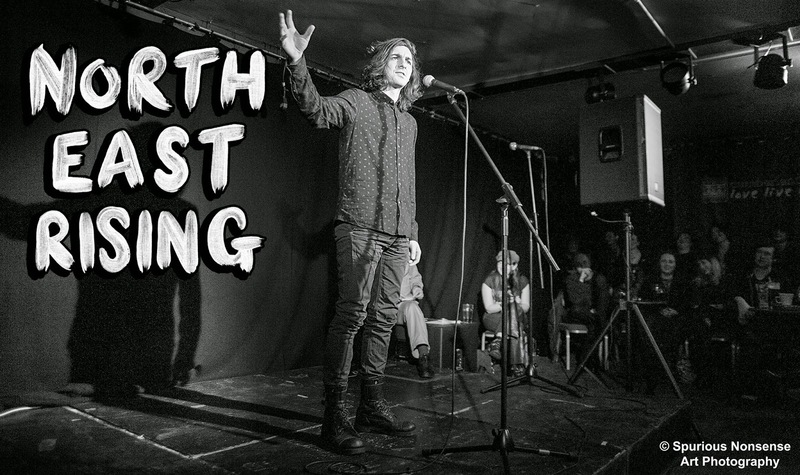 ‘North East Rising’ is Rowan McCabe’s new show about North East identity and it opens at Arts Centre Washington on Thursday 4th September before touring regionally. Do you ever feel like the media is being a bit unfair about the North East? Like there’s a bit more to it than closed down mines and drunken Ken and Barbie dolls? Well, Rowan is pretty sure that there is and he’s on a mission to find the true heart of the region’s culture. An energetic one person show of performance poetry, theatre and stand-up; expect hallucinatory tales, laugh-out-loud satires and a few pauses for thought as Rowan goes on a journey that shakes apart Northern stereotypes and celebrates the regions more quirky side. Prepare to meet a load of eccentric characters along the way, including: a down-and-out Cheryl Cole, an incredibly strange athlete and a criminal pensioner... oh, and there’s also a gangster rap about stotties. The evening will be hosted by comic and actor Robbie Lee Hurst with support from Spoken Word artist Jessica Johnson, who will perform a series of explosive and hilarious poems with a distinct North East twang. The show will open with music from Alix Alixandra, who has performed at the Edinburgh Fringe and has built a reputation as a singer songwriter with a beautiful voice and a knack for a catchy melody. ‘North East Rising’comes to Arts Centre Washington on Thursday 4th September, 7.30pm. Tickets are £7.50 / £5 (conc) and are available from www.artscentrewashington.co.ukor by calling 0191 219 3455. It then tours to Northern Stage on Tuesday 21st October, 8.00pm. Tickets are £7.50 / £5 (conc) and will be available from www.northernstage.comor by calling 0191 230 5151. It will finish at ARC Stockton on Thursday 23rdOctober, 7.00pm. Tickets are £8.50 / £6.50 (conc) and will be available from http://arconline.co.uk/ or by calling 01642 525199.